Ben discovered his passion for film at an early age while attending high school in Townsville, Queensland. 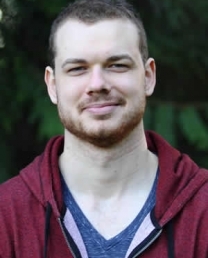 Born to parents who were sculptors and printmakers, Ben was encouraged to follow his artistic talents as he pursued a Bachelor of Fine Arts, Film and Television at QUT, graduating in 2006 and taking on the industry shortly after. Having played bass guitar in several bands throughout his youth, Ben quickly transferred his musical talents into the art of editing, incorporating a strong sense of rhythm and flow in his edits. His first job consisted of editing live music festivals throughout Queensland. During this time, Ben was able to edit numerous bands such as Wolfmother, Gotye and Hilltop Hoods. Soon after, Ben gained television experience working with Carbon Media. He began editing children’s game shows for ABC3 and several documentaries for ABC1. Ben’s lyrical understanding and delivery of strong narratives earned him opportunities to travel around rural and remote Australia, filming and editing original content for NITV and the Australian Government, showcasing various Aboriginal and Torres Strait Islander communities. 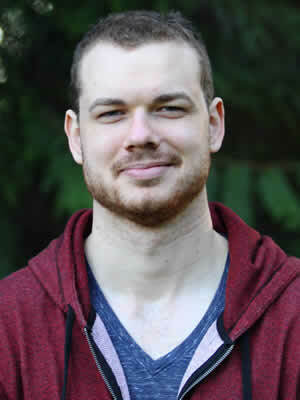 After working in Brisbane for six years, Ben moved overseas and spent the next two and half years in Vancouver, Canada, amongst the action of “Hollywood North”. His first international works included editing a music video for Universal Music Canada, followed by a grassroots documentary about fanaticism in professional football. From here Ben began a profitable freelance career spanning a variety of genres, including music videos, ads, documentaries, corporates and web series. It was during this time that he developed a strong interest in motion graphics and the art of digital animation, expanding his range in post production. After fine tuning his motion graphics, editing and grading skills, Ben moved to Sydney to pursue the next step in his expanding career. His recent works include editing a reality television show pilot and several high budget advertisements around Sydney. He freelances for a number of clients and continues to stand out with his advanced storytelling abilities and sincere enthusiasm for film and music.